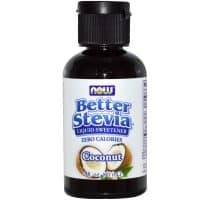 NOW Better Stevia is a zero-calorie, low-glycemic, natural sweetener that makes a perfectly healthy substitute for table sugar and artificial sweeteners. Unlike chemical sweeteners, NOW BetterStevia contains pure stevia extract. NOW Foods takes special measures to preserve stevia’s natural qualities in this unique, pure, better-tasting stevia. 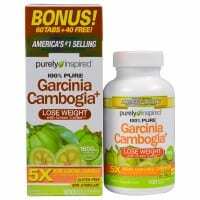 Use to naturally sweeten your favorite beverages and food. Use 1 to 5 drops as desired daily. Sweeten to taste. Remember a little BetterStevia goes a long way. Sedimentation may occur. Shake well before using. Vegetable glycerin, certified organic stevia extract (stevia rebaudiana) (leaf) and natural coconut flavor (in an alcohol base). Not manufactured with wheat, gluten, milk, egg, fish, shellfish, ingredients. Produced in a GMP facility that processes other ingredients containing these allergens.